Who downloaded my paid game without payments? I've just released my game and checked my Analytics page. No Gross Revenue, but 5 Downloads. Is it normal or do I have to do something in my dashboard page? I'm worrying that I missed something. Hey, sorry for not getting back sooner. I checked the logs for your project and it's your account that downloaded it 5 times. Perhaps you installed it from the app to test it? That would count as a download. Other potential reasons is that you downloaded it for free while the page was restricted or in draft. Hope that explains, thanks. Yes, I installed it from the app to test it! But it was only once. So I wrote this post. And I didn't downloaded it for free while the page was restricted or in draft. I think that I installed it only once, but the app requested it 5 times. This is a possible theory that can explain both of my memory and the logs. Thank you for checking the logs for me. I just tried to buy it, set the price to $0 but it asked to pay the minimum of $4.99 so its definitely working..... maybe the analytics are behind? how did you set up to receive payments? Do you mean my pricing policy? I checked "Paid" and set the minimum price $4.99. 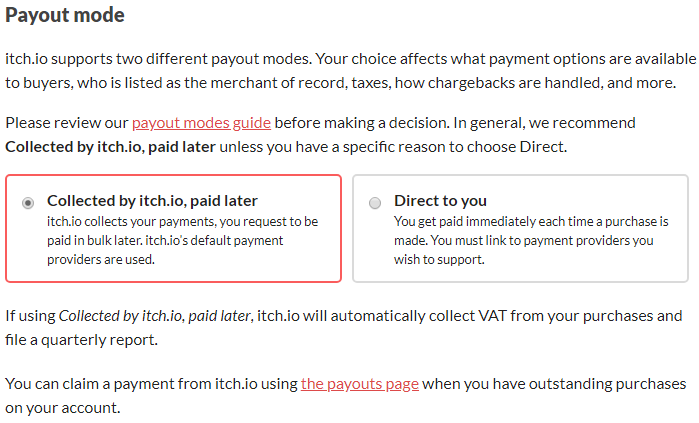 I meant the way itch io gathers payments for you? did you set it for them to do it? or are you getting the money directed elsewhere? So you meant "Payout mode," right? I chose "Collected by itch.io, paid later." 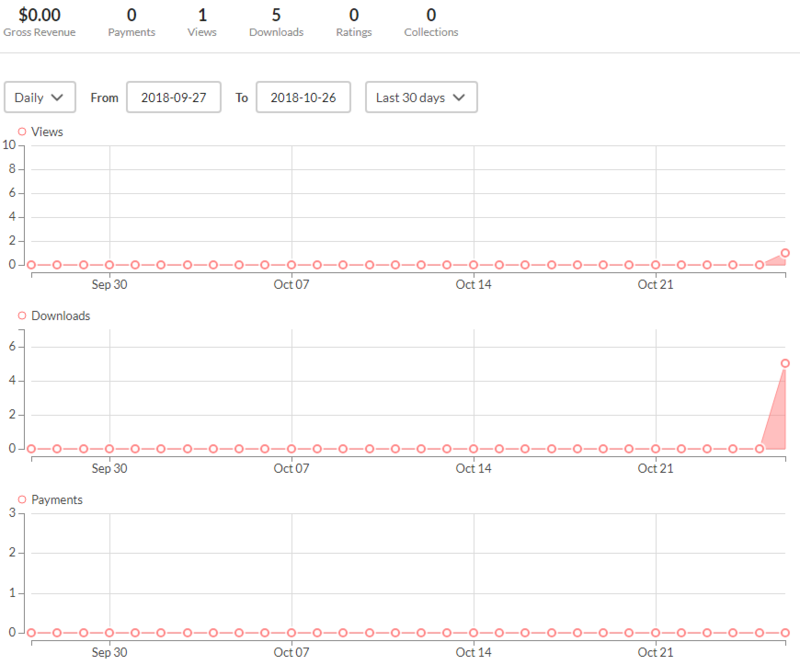 yeah I did the same, and mine seems to be working, but mine is a "donation" so people don't have to pay.. not sure whats wrong, it looks like you've done everything right, perhaps it is just the analytics are behind? I'm not too familiar with itch io's support, but I would suggest your next step would be to ask the admins directly to see if they can shed any light on it. I think that I have to watch the analytics page a few more days. Anyway, thank you for your reply! One other thing to check is your preferences for your account. There is an option to allow your games to be downloaded for free by media affiliates. I think that option is turned off by default, but maybe you turned it on at some point? I looked for the option which you mentioned. But I still don't know where it is. and it is the box for: "Opt my games into itch.io's press system"
Oh, my mistake. There is Press access page. But I didn't check it.